Start spreading the news, I’m leaving….tomorrow! If you haven’t heard I’m off to New York tomorrow morning for my birthday next week and I just cannot wait! My packing has commenced today and I really am unsure what to take, the weather is looking slightly warmer than it has been over there but not quite as warm as here so I’m trying not to over pack but it’s hard when you aren’t sure of the weather or what you want to wear. I am so indecisive! 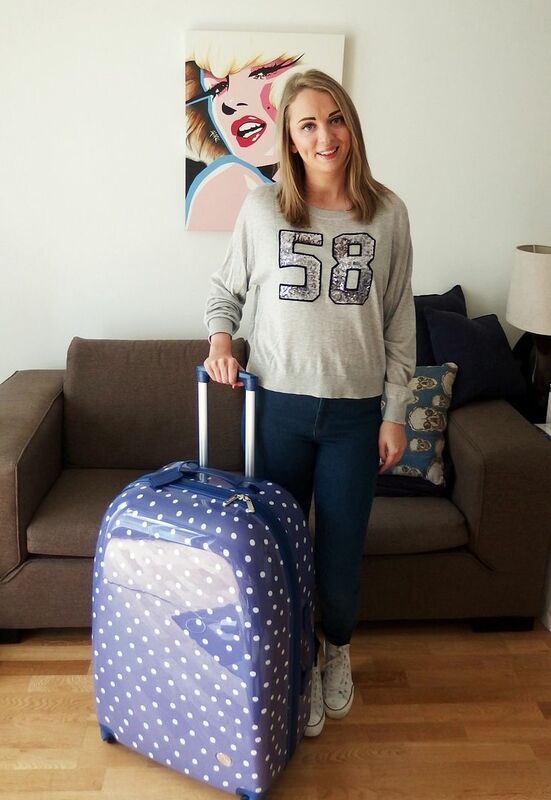 Luckily I have a mahoooosive suitcase thanks to House of Fraser who kindly sent me this large Dickins & Jones Polka Dot number for my travels. Which means more space for things to take and most importantly lots of space for bringing things back! I am really looking forward to shopping in New York, I’m desperate to get my hands on some Marc Jacobs make-up, have a look in Opening Ceremony and Sephora and check out lots of boutique shops in Brooklyn. Back to the packing, I always try to put it off, but I really have to do it, maybe I can pick up a Dorota in NYC to do it for me? As the weather is still cold I’m definitely taking my fur coat and my pink pastel coat plus maybe a leather jacket incase it heats up a little, I’m being optimistic here clearly. I’ve figured two good pairs of my ASOS skinny jeans, some jumpers, flats and heels and of course a nice dress. I have a Wildfox dress I picked up in their sample sale last year and have still not worn it, it’s such a beautiful dress so it’s definitely getting worn on my birthday dinner on Tuesday! I think the best idea is to layer up considering the weather is pretty unpredictable right now. 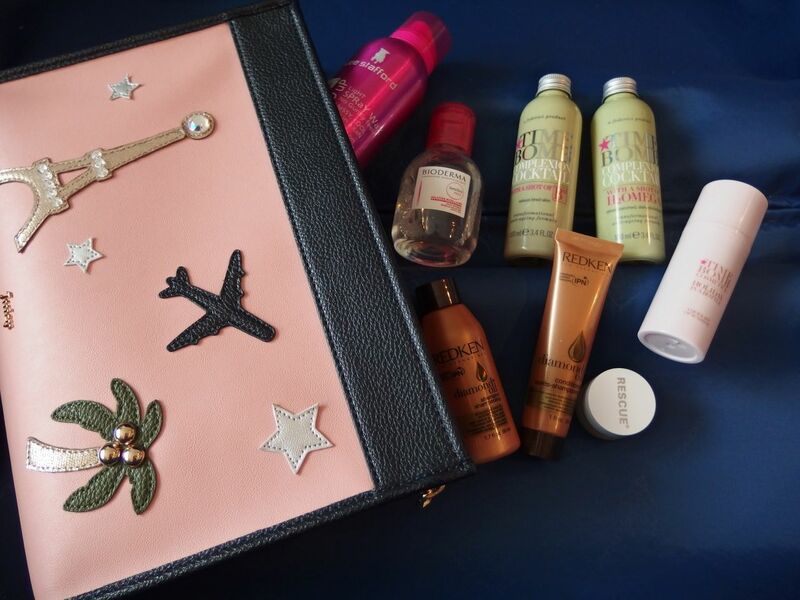 Beauty product wise I’ve been packing some essentials in their mini sizes; Bioderma Micelle Solution, Time Bomb Complexion Cocktails to help my tired face look normal after flying, Redken Diamond Oil Shampoo & Conditioner, Rescue Remedy and some Time Bomb Holiday In a Bottle and packed them all in my Juicy Couture travel bag, I love this bag, it’s just such a good size for toiletries. I have also stocked up on some empty bottles from Boots to fill up with some of my favourite products so I don’t have to take the big bottles and can also take them inside the cabin with me. I won’t be posting whilst I’m away but do stay tuned for lots of NYC posts coming soon! Do you think they’ll spot me coming? Hope you’re having a great time. I’m very jealous, particularly of all the Sephora shopping.